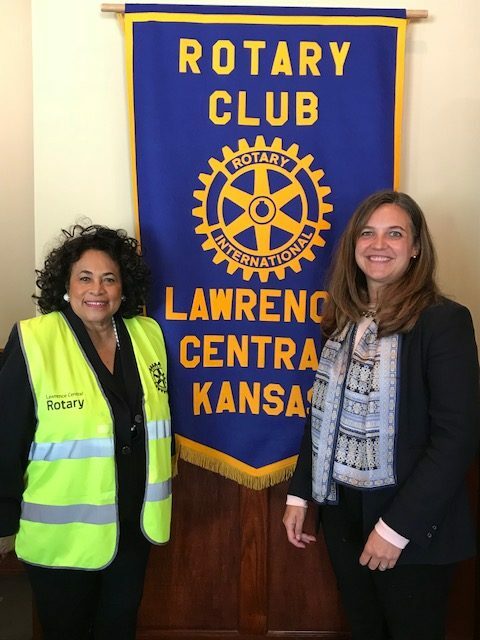 District Governor Blanche Parks visited Lawrence Central Rotary, demonstrating abundant enthusiasm and commitment for her Rotary leadership responsibilities. 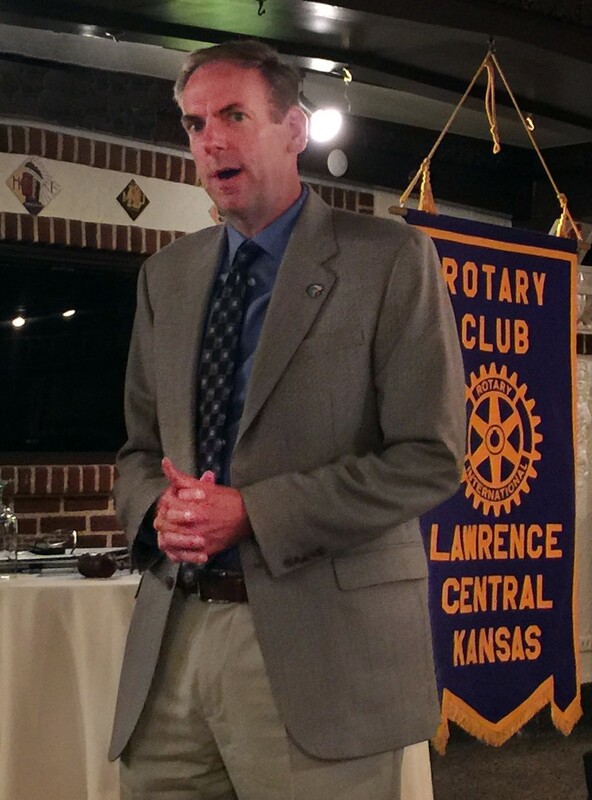 DG Parks joined the Downtown Topeka Rotary Club in 1999, serving as president in 2012. She also served as Assistant District Governor and District Trainer. She was instrumental in establishing the first Rotary Leadership Institute for the District. Parks worked for the State of Kansas managing and directing various state agencies. She is most proud of developing the Kansas Learning Quest 529 College Savings Plan. 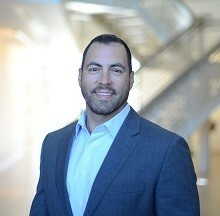 Governor Parks serves on numerous boards and is very active in the Topeka community. 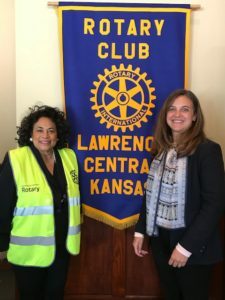 Her plans for the coming year include raising Rotary’s public image, a focus on utilizing technologies that are appealing to young people, increasing giving to the Foundation, and increasing club membership. 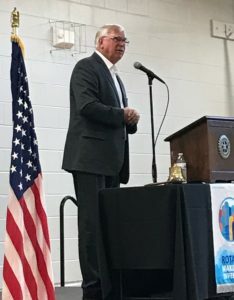 In introducing District Governor Chris Ford, Lawrence Central President Jim Peters listed the club’s activities, both local and international. He named community bike rides, wreath sales, and fireside dinners as well as support for LiveWell Lawrence, Willow Domestic Violence Center, Salvation Army bell ringing, the Rotary Arboretum, and internationally, support for Shelter Boxes, the Open World Program, and Sister Cities, among many others. “We’re a ‘DO IT’ club,” Peters said. Ford said his goal for 2017 is 3,000 Rotarians in District 5710. “We’re a small district with 45 clubs. 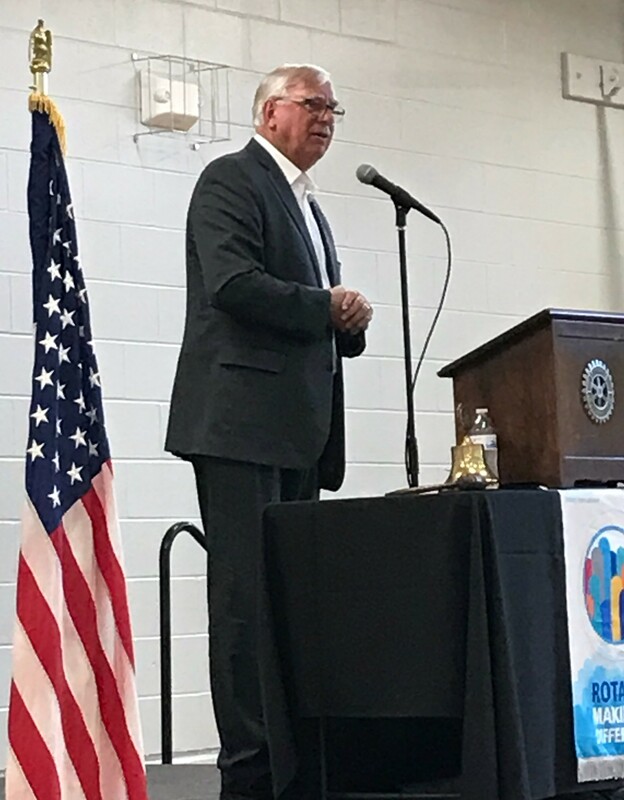 I want a growth rate of 20% for our clubs.“ He outlined three goals for Rotary clubs: new members, retention of current members, and improved attendance. He said we must inspire members to stay in Rotary and have the quality of programs that will keep attendance high. 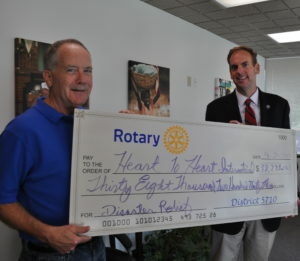 Rotary projects are important. Polio has been conquered but other worldwide concerns include literacy and education, maternal and child health, clean water, and a host of others.